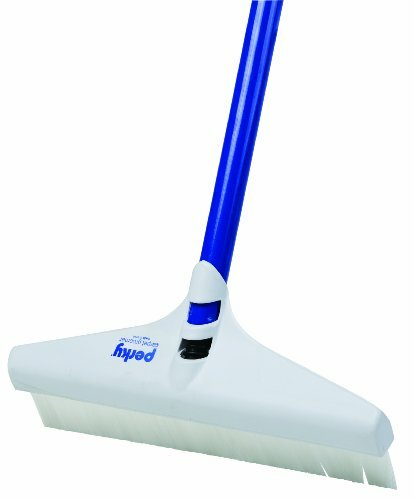 Sweep Broom — Sweep stays clean and sanitary as you work — and when you’re done, just flip it over and squeegee the floor dry! Can be used wet or dry — with a little soap, the brushing action scrubs so you don’t have to! 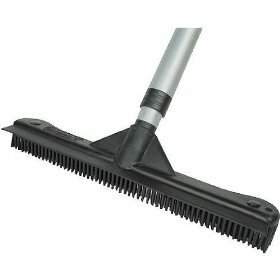 Don’t be fooled by cheap imitations because our rubber broom will outperform any other on the market. 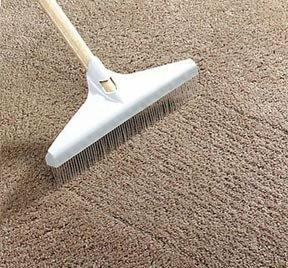 It will clean better and last longer than anything else you have ever used. The handle is gray or blue. 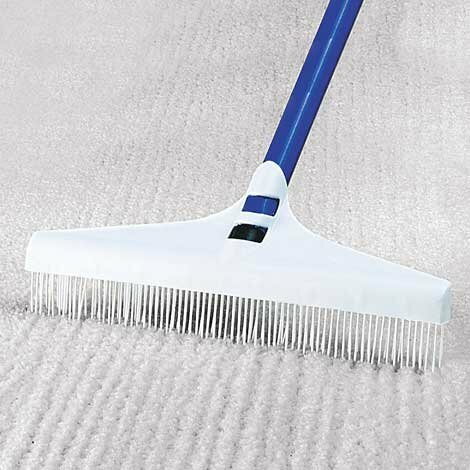 The rubber brooms are now formulated using a blue compound.